Well, the nice man from British Gas came round and did a very neat job, and we are all 100A now. Cool. Unfortunately there was another side effect of having everything re done that has added a lot to the cost! A new washing machine. Turns out the old one had an earth leakage issue but was not tripping the old circuits (may have been one of the non RCD circuits), and so as soon as we put in RCBOs, we find it is duff. P.S. the geek in me that passed A-level physics can't help feeling there should be something more fun and youtube worthy to do with a 100A power feed than just charge a car and run a tumble dryer at the same time. Shame. You seen photonicinduction on YouTube ? I see you fell for the Smart Meter con. They are all non standard at present, and have to be changed if you change electricity supplier. Also in a few years' time when the standards are settled they will all have to be swapped again. The cost to the UK economy of swapping and throwing away all these obsolete smart meters will be enormous. Steer clear until the standards are settled. It’s a bit like 1970s thinking when people would never change their electricity supplier. I change mine annually, sometimes more frequently depending on whether there’s a better deal available. There should be a parliamentary enquiry into this dysfunctional scheme. The worst case scenario to the individual is that their meter reverts to being a "dumb" meter. I have the same (british gas) meter as the one RevK has there. Since changing supplier it is now dumb, but to be honest it was nice having the detailed stats for a few months (especially as it was around the time I got an EV) and I haven't really lost anything now. Your address is showing in photograph. My address is public record in several places, even under just “RevK”. Probably not. DNOs only insist on 25mm2 in your cables, not their own. It's almost certainly this sort of cable, which is ~100A in 16mm, which is only 12mm O/D. Washing machine was probably the heating element. You could have replaced it. Only 100amp? You're not trying hard enough. Was doing some work in a house today - I'm no electrician but it reads as a 250 amp main breaker to me. Time for you to upgrade I think. There are Jones'es to be kept up with y' know. You can't get a single phase supply above 100A. On cold dark nights (starting next week?) when there's not enough juice to go round, the Smart Meter's inbuilt kill switch will give you your very own personal power cut. Not only will you be cold and dark, you'll get an unexpected bonus - the Tesla will be hobbled the next day because it didn't get a full charge ! Smart People have Dumb Meters. That's a bit of a conspiracy theory don't you think? I mean, for a start it assumes we go back to a 70s style rolling blackout, I don't think the modern public would accept that. And, if that did start happening, the transmitter for my meter would quickly find itself in a metal box. Do they really have it out switches? If so, as above,mobile signal may get surprisingly weak due to extra (metal) “security” measures around my meter cupboard! Not only cutout switches, but absolutely terrible security - the energy companies were planning to use a single password for all meters, and have just been prevented from doing so, but that's a guide to the level of competence that goes into these things. Not only can your power be cut by a casual mouse click at the power co, it can be cut by anyone driving past your house. Not a conspiracy theory, do some research and you'll find that all smart meters certainly do have a kill switch ! Why do you think they're being promoted so desperately, when a much cheaper toy (a DIY Energy Monitor) would happily give all the supposed energy savings? BTW anyone who thinks they can defeat a smart meter by screening it is probably in for a surprise: my mobile phone will still ring if placed in a (switched off) microwave oven ! Smart People have Dumb Meters. Dumb People have Smart Meters. You have some interesting points but you’ve ignored the state of technology, the energy market and politics in drawing conclusions. 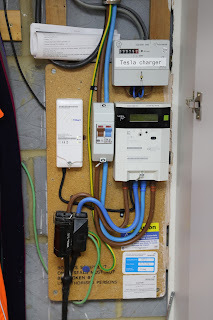 Smart meters do have a power arm/disconnect switch, but not primarily for the reason you think they do. They have them because they're supposed to be easily convertible between pre-payment mode and credit meter mode. Prepayment meters by design cut or limit supply when you're past the debt limit. That is the primary reason why this feature is designed in. Whilst they probably could be used to cut individual supplies in the case of a load shed entire areas will be dumped from the grid. The reason for this is simple, latency if you need to load shed because the grid frequency is drifting you need to do it bloody fast and the latency of pushing commands through the GSM network to individual meters is likely to be high. Also with recent developments in the energy market (Tesla Big Battery proving big bats are possible and thrash the gas generator market for frequency control) load shedding should become less likely anyway. The real reason why "BigEnergy" wants smart meters is something a bit more obvious, they get to sack a large portion of their meter readers (still need some to do inspections) and can switch problem customers between credit and prepay meters at almost zero cost to themselves. Time of day tariffs do exist and are interesting (https://www.greenenergyuk.com/Tide), though they are currently intended for people with something like a Tesla Powerwall 2 and given the existence of Powerwalls there is unlikely to be much profit. Also Tesla owners who want an uninterruptible tariff already have a solution they don't have to pay the electric company for it the Powerwall can be configured in backup mode (apparently avail UK Q2 2018). Politically forcing people onto these tariffs fall into the dangerous realm of interfering with "bread and circuses" and thus are unfeasible. You mess with people's kettles, football and their Corrie at the price of electoral annihilation. Smart people take a holistic approach to their research when predicting the future. I'm not an expert on this, so call me a cynic, but my understanding is that the smart meter rollout is being driven by the government / EU, not the energy companies: they just get fined if they miss the government targets imposed upon them. Besides, why would any private company want to waste their money encouraging their customers to buy less of their product? The economics just don't add up. My meter is read only every two years (probably a legal requirement). Back of envelope calculations: Assume the meter reader is paid slightly above minimum wage, say £10/hr, add the same again for overheads and transport. Time at my house is well under 2 minutes, but some people are not at home, have long drives, or are far out in the country, so allow 6 minutes on average, hence 10 readings per hour costing £2 each. So it will take Big Energy 100 years to recoup the £200 cost of the smart meter installation ! 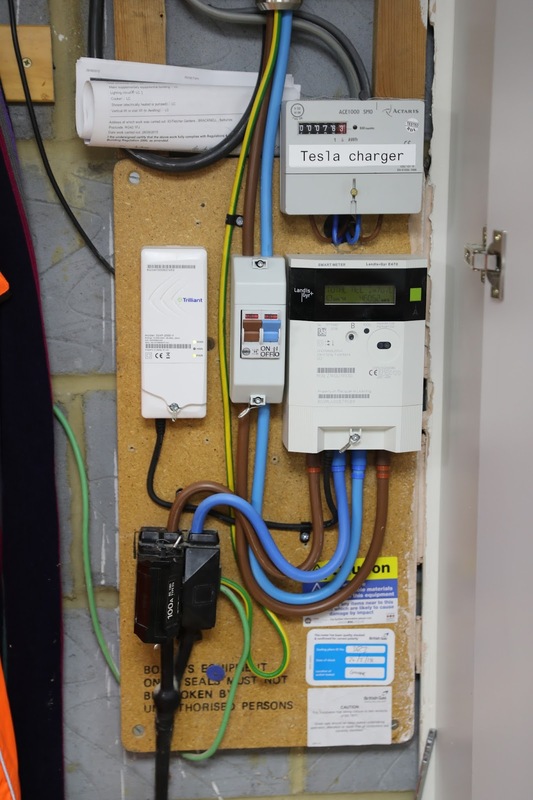 In reality, it's doubtful whether making meter readers redundant will provide any savings for Big Energy, because they'll still have to send someone out every two years for safety checks (to make sure people aren't illegally by-passing their meters). Similarly, it can't possibly make sense to install a smart meter for existing customers such as myself: the risk that I’ll suddenly stop paying my bills after 30 unblemished years is a big fat zero ! Indeed, so only going to happen if they are remotely disconnecting power at all... Unlikely case. Just launched tariff where as a residential buyer you get 30 minute spot pricing (every day at 4pm you are given the spot prices for the following day via an API) for residential electricity supply. Then you can control the Tesla chargepoint, washing machine, your aircon etc etc to turn on and off based on your pricing data. I get that you're joking, but I'd happily run my washing machine, tumble dryer and aircon in the middle of the night. Also you might be surprised to know that today's spot price at 3pm is lower than the spot price at 3am. The model of offpeak being at night and peak being everything else is way too simplistic, especially with renewables on the grid, which is why more sophisticated tariffs are needed. With heating/cooling appliances the advantage is not so much that you only run them when electricity is really cheap, it's that you can turn them off completely during the brief periods when prices spike. It doesn't make the slightest difference to you if your freezer turns itself off for 3 hours every day, and it probably doesn't make much difference to the temperature of your home if your heatpump turns off for three hours either - especially if it has foreknowledge of this and spends the hour beforehand warming the house up slightly more. For most users of power today I get that this is not that interesting because they have limited ability to control when they use their energy (for example the roast lunch you mention, which can only ever happen at lunchtime). then it's straightforward to program them to a) avoid the small number of hours where prices spike very high where possible and also b) prefer the very cheap periods where possible.